Welcome to the Strainprint Community Understanding Terpenes Series. This collection of text articles focuses on providing patients with a better understanding of the medical benefits of terpenes, the group of 200 molecules produced by the cannabis herb that have been proven to provide a wide range of efficacies, including analgesic and anti-inflammatory properties of value in the treatment of literally hundreds of diseases and conditions. Before diving into the details behind linalool, the terpene produced by cannabis known for its anti-inflammatory and sedative powers, it behooves readers to develop a solid understanding of terpenes as a category of wellness molecule. Patients gain advantage by knowing how terpenes compare to the other group of healthy chemicals produced by cannabis called cannabinoids (including tetrahydrocannabinol [THC] and cannabidiol [CBD]). More than 20,000 varieties of terpenes exist throughout nature. The interesting part of the evolution of these odiferous chemicals is that they are shared among different plant species. For example, the terpene linalool—which conveys an aroma of lavender and is present in hundreds of strains of cannabis—is also produced by more than 200 other plants, including lilacs and a variety of herbs and mints. Terpenes were once thought to deliver nothing more than an enticing aroma to thousands of plants, from cannabis to conifers and lavender to lilacs. From an evolutionary perspective, terpenes help to protect plants from pests and predators with their intense fragrance, acting as a reserve siren song. Within the past couple of decades, however, researchers have learned that terpenes offer medical benefits to all mammals that rival those of their chemical cousins the cannabinoids. Terpenes constitute approximately 10-20 percent of total pre-smoked resin produced by the nearly microscopic trichome glands of the mature female plants. It is estimated that 10-30 percent of the smoke resulting from the combustion of cannabis flowers is from terpenes. Loosely speaking, the three primary efficacy benefits of terpenes are their ability to fight pain, the way they reduce systemic inflammation, and their seemingly magical capability to reduce anxiety. Depending on the specific terpene cited, a plethora of other primary and secondary benefits exist, including anti-fungal and anti-bacterial properties. It must be stressed that the theoretical efficacy of an individual terpene, such as myrcene, is confounded by the fact that it is typically consumed in tandem with other terpenes and cannabinoids (including flavonoids, which will be covered in a future Strainprint Community article). This is especially true for patients who gravitate toward “full spectrum” and “whole plant” products. This issue is addressed by a theory called the entourage effect, the term coined by Dr. Ethan Russo, M.D., a California-based neurologist and one of the pioneers in the field of cannabinoid and terpene research for medical applications. In 2011, Russo published a research study entitled “Taming THC: Potential Cannabis Synergy and Phytocannabinoid-terpenoid Entourage Effects” in the British Journal of Pharmacology. He and his team studied the terpenes a-pinene, b-caryophyllene, caryophyllene oxide, limonene, linalool, myrcene, nerolidol, and phytol. 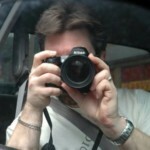 In his pinnacle study, Russo explains how cannabinoids and terpenes intermingle in the human body to modify the effects of one another and, in essence, create an overall different, or “greater,” efficacy based on the exact molecules present and, of equal importance, the ratios in which they appear. Examples of this intricate mechanism revealed by the study include myrcene’s ability to reduce the selectivity of the blood-brain barrier, allowing molecules like THC and CBD to pass this biological filter more easily and in greater quantities. While myrcene illustrates how a terpene can amplify, or boost, a cannabinoid, the terpene pinene has been shown to buffer THC by reducing the cognition and memory impairment that sometimes accompanies the infamous psychoactive molecule. Russo’s research also demonstrated that a combination of caryophyllene, myrcene, and pinene is helpful for reducing and treating anxiety (more than 100 million Americans suffer from the most common form, social anxiety). Likewise, the study revealed that a combination of the terpenes limonene and linalool and the cannabinoid cannabigerol (CBG) is helpful in treating MRSA (methicillin-resistant staphylococcus aureus), the most treatment-resistant form of staph infection. CBD, limonene, and linalool have been investigated for their ability to fight acne and treat other skin conditions, including eczema and psoriasis. 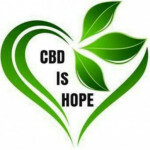 When combined with THC, the cannabinoid cannabinol (CBN) produces an enhanced sedative effect. The pioneering Russo study concluded multiple beneficial interactions between myrcene and several major cannabinoids, including THC and CBD. THC + myrcene: Analgesic (reduces pain) and muscle relaxant; enhanced sedative and tranquilization benefits. 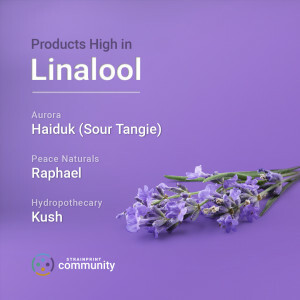 Linalool is categorized as one of the 10 “minor” terpenes produced by the cannabis plant, meaning it is available in smaller quantities than “major terpenes such as limonene, myrcene, and pinene. Significant medicinal benefits are derived from linalool, making it one of the top terpenes of interest to patients and those seeking to balance their ECS in an effort to achieve health and wellness. Linalool conveys a very floral aroma of lavender and spice. Found in Amnesia Haze, Haiduk (Sour Tangie) from Aurora, Lavender, and Raphael from Peace Naturals, Master Kush and Kush from Hydropothecary. Linalool is found in 200 other plants, including mints, scented herbs, citrus, and even birch trees. It is sometimes called beta linalool, linalyl alcohol, linaloyl oxide, and p-linalool. It’s anti-inflammatory and analgesic properties make it of special interest to endurance athletes seeking performance enhancement and faster recovery times. While linalool delivers a wide range of benefits for patients, its core efficacy is relaxation and a reduction of anxiety. In sufficient quantities, it can be used as a sedative and is helpful for insomniacs. Linalool has also been shown to be a capable treatment for Alzheimers, the progressive brain disease that causes severe memory and cognitive problems. When administered properly by a medical professional or experienced caretaker, linalool’s sedative effects are significant enough for it to serve as a tranquilizer and effective enough to help patients suffering from conditions as severe as psychosis. This terpene also serves as an analgesic, anti-convulsant, antidepressant, and anti-inflammatory, making it of value in the treatment of diseases and conditions ranging from anxiety, arthritis, clinical depression, Dravet Syndrome, dystonia, epilepsy, and fibromyalgia. Several studies have revealed the medicinal properties of linalool. Modern clinical research has identified this terpene as helpful in the treatment of a wide range of serious diseases, from Alzheimers to the lung damage caused by tobacco smoking to a reduction of opioid cravings in post-operative patients. A study published in 2015 in the journal International Immunopharmacology entitled “Linalool Inhibits Cigarette Smoke-induced Lung Inflammation” found this popular terpene’s anti-inflammatory effects to be beneficial for repairing the lung damage caused by tobacco cigarettes via its anti-inflammatory properties. The research also illustrated the terpene’s anti-cancer properties. “Linalool inhibits cigarette smoke induced lung Myeloperoxidase (MPO) activity and pathological changes,” reported the researchers. A 2002 study published in the journal Phytomedicine entitled “Anti-inflammatory Activity of Linalool and Linalyl Acetate Constituents of Essential Oils” examined the significant anti-inflammatory effects of this terpene. The researchers found, “The results obtained indicate that linalool and the corresponding acetate play a major role in the anti-inflammatory activity displayed by the essential oils containing them, and provide further evidence suggesting that linalool and linalyl acetate-producing species are potentially anti-inflammatory agents. This is the terpene I have been trying to use because of what I'm seeing about it acting as an anti-psychotic.Correction,a SAFE anti-psychotic.